Which mobile apps have worn down the tips of your fingers? We’re assuming you’ve reached the point where Angry Birds and Candy Crush aren’t as stimulating as they once were, and if you’re a designer, architect, or engineer, you’re likely in need of designing and drafting apps that allow you to make the most of your creative abilities when you’re not in the office. How often is it that you experience moments of crystalline inspiration but are nowhere near your laptop or workstation? If the thought itself makes your palms sweaty and pulse quicken, fear not. There is a veritable treasure trove of digital tools available for architects who carry around a smartphone or tablet on a regular basis. Here are five mobile drafting and design apps that can help you stay productive wherever, whenever. Voted No. 4 by ArchDaily in its recent Top 10 Technical Apps for Architects roundup, this mobile app for iPhone, iPad, and Android features both a flat-view compass and an augmented-reality camera 3D view. 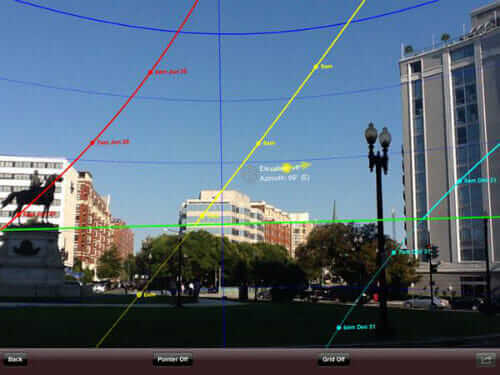 It’s helpful for architects (not to mention gardeners, photographers, and real-estate and solar-panel buyers) to gather data on the sun’s position, angle, and path during the day. It also serves up reference data for summer and winter solstice paths, rise and set times, and elevation and location information. A free app that builds on the idea that architects and designers are somewhat nostalgic for pen and paper, Morpholio offers Trace for iOS users. According to Architect Magazine, it’s a colorful design app that gives users the option of choosing from a variety of palettes. For instance, there’s an architecture menu that provides pigments and shades for natural features like grass and water, as well as interior aspects, such as shadows and lighting. Another unique capability is one that allows users to view all of the various iterations of their designs, flipping back and forth through each picture. Here, you might discover or remember a particularly impactful drawing that had been previously discarded. Instead of wasting time trying to recapture the lightning in the bottle that originally inspired the designer, Trace lets you access the image quickly. Finally, you can import external images and trace or draw on top of them. ArchDaily puts this digital tool at No. 6 in its Top 10 Technical Apps for Architects list. What makes this drafting app stand out? First of all, it’s free (or $4.99 per month for the Pro version), works on either a tablet or smartphone, and functions on both iOS and Android devices. You’re able to access your drawings on the web and share across multiple platforms so that your drafts can be accessed on location or in transit. Another benefit the online resource Dexigner highlighted is the ability to create drawings using new tools that allow you to manage multiple layers. The updated app allows for larger files, which gives you more room to explore your creativity. 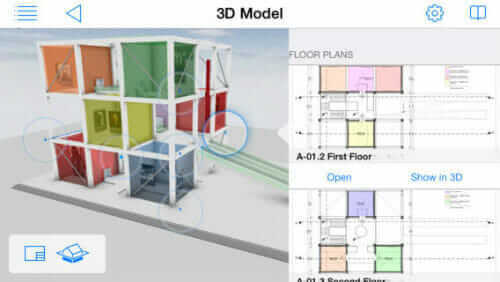 For iOS platform users, this mobile app is a transformational experience that combines 2D and 3D renderings in the same space. 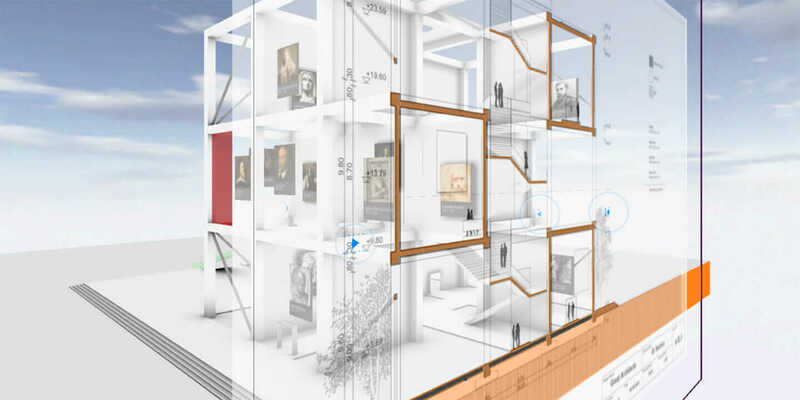 Architosh indicated architects using ArchiCAD would be most at home with BIMx, being able to navigate your 3D models and walk through them as if the buildings actually existed. 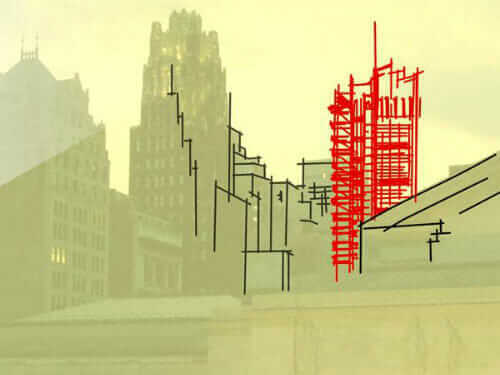 Users can then pull back to access 2D renderings for a schematic view. While the basic BIMx app is free (with in-app purchases ranging from $9.99 to $74.99), the BIMx Docs project presenter app is a one-time fee of $74.99. But for the price of admission, you get access to its Hyper-model functionality—integrating both 2D and 3D information for seamless navigation—and can share an unlimited number of projects. Archh.com lists this app in its Best Mobile Apps For Architects and Interior Designers blog for architects, engineers, and designers. It features a CAD editor and viewer, objects library, OpenGL graphics with real-time rendering, and advanced tools such as OSNAP, smart dimensions, adaptive hatches, and more. 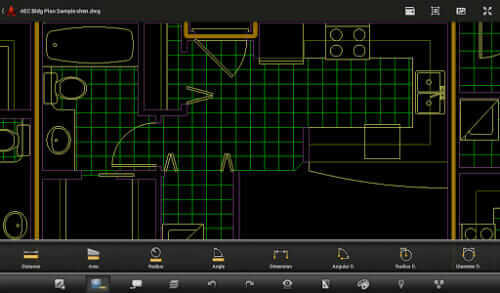 The app exports DWG, PDF, and image files, and imports DWG and DXF.